The government has announced that financial services licence holders will be required to co-operate with the new complaint’s authority in the resolution of disputes. 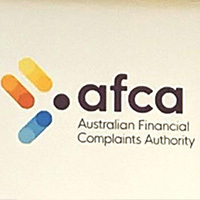 Treasurer Josh Frydenberg said that all AFSL holders will be required to co-operate with the Australian Financial Complaints Authority in the resolution of disputes. The news follows the royal commission’s recommendation and will include AFSL’s making available to AFCA all relevant documents and records relating to the issues in dispute. Commissioner Hayne in his report said there was “little benefit in mandating the existence of systems if there is no obligation to comply with those systems”. With the governments new announcement, a breach of the requirement can give rise to a civil penalty. The government also extended the co-operation requirement to all AFCA members which includes Australian credit licence holders and registrable superannuation entities. The announcement was welcomed by AFCA, whose chief ombudsman and chief executive officer David Locke said it was an important step in ensuring complaints were resolved. “Commissioner Hayne recommended the law be amended to require AFCA members to take reasonable steps to co-operate with us in the resolution of disputes. “This was an important recommendation and we are pleased that from today, financial firms will be required by law to provide all relevant documents and records relating to complaints,” said Mr Locke. Mr Locke said the authority expected all firms to co-operate fully and conduct themselves ethically; any firm that did not would be called out. “If we see any failure to co-operate fully and honestly with AFCA we will call this out in the strongest possible terms and work with regulators to see appropriate regulatory action taken,” he said.